The 7th International Scientific Conference Epimilitaris 2019: EPIDEMIOLOGY AND CBRN SECURITY. SCIENCE, INNOVATIONS AND PRACTICAL IMPLICATIONS. Epidemiology of infectious diseases which can be used as biological warfare agents. Epidemiology of non-infectious diseases which pose hazards to health of uniformed services. Identification of CBRN use-related threats. Monitoring of threats, environmental identification and medical intelligence. Identification of CBRN agents. Procedures, techniques and new technologies. How to proceed in a contaminated zone. Forensic, triage, and environmental aspects. Medical rescue in the contaminated zone. Medical evacuation from the contaminated zone. Hospital as a stage of handling a contaminated patient. Preparations in terms of CBRN security. Managing a crisis situation after an incident involving the use of CBRN agents. Restoring capabilities after hybrid war (Resilience in Hybrid War). 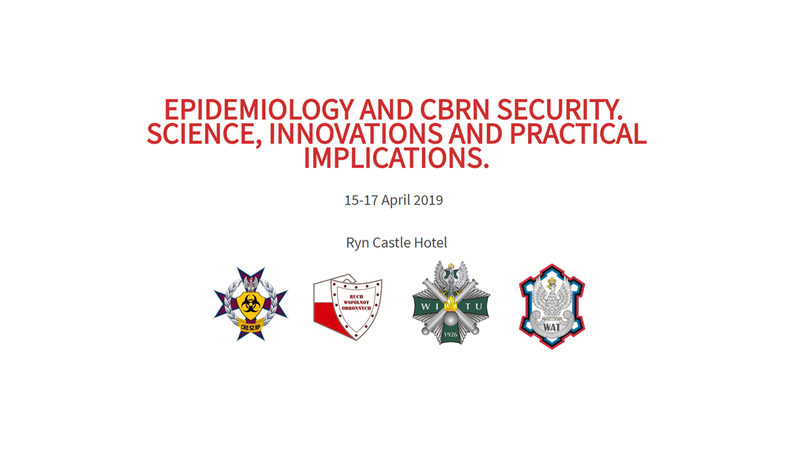 The Conference is to provide a platform to share and expand knowledge on epidemiology and CBRN security in the context of threats to human life after the use of CBRN agents. Therefore the conference topics concern a wide range of activities undertaken throughout the process of responding to the threat: preparation and prevention, and actions performed both during the incident and also after its occurrence. The Conference Agenda also covers thematic workshops. Representatives of both Polish and foreign (the U.S.A., the Czech Republic and Slovakia) uniformed services have been invited to deliver these lectures. As in the previous years, the participants will receive credit points. Scientific reports will be published in a conference monograph with a specific ISBN number.